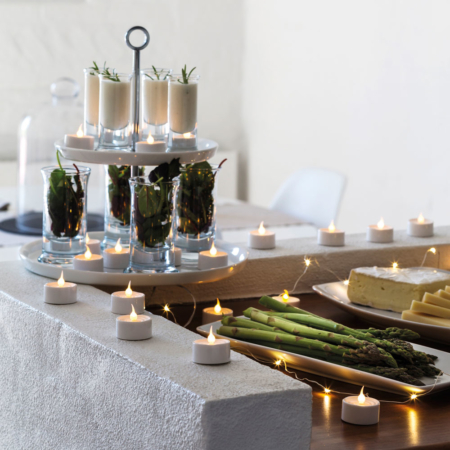 Create a warm and soothing ambience in your interior spaces with these elegant and long lasting LED tea lights. 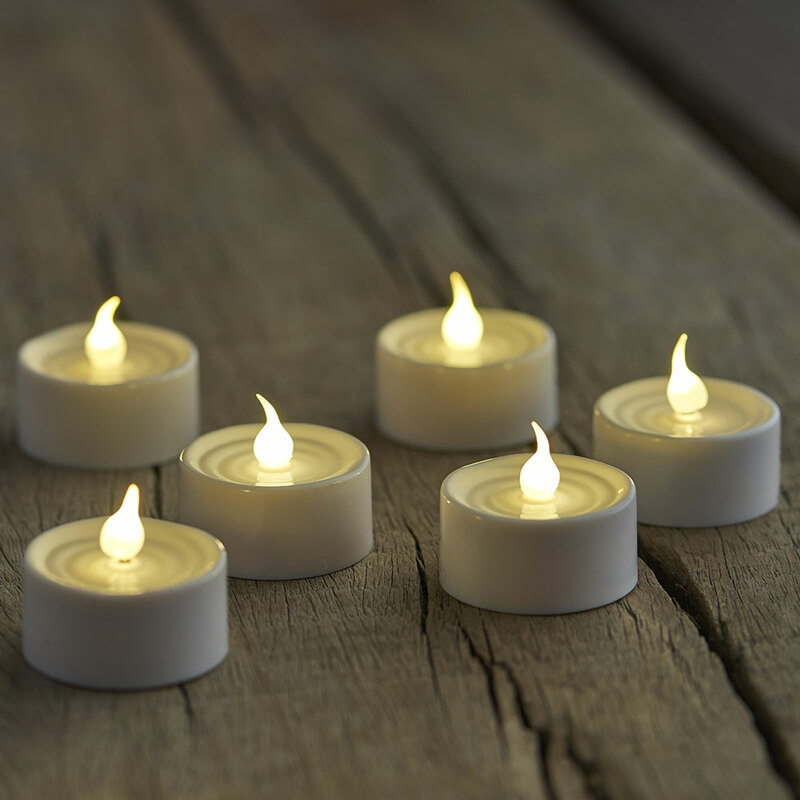 Lifelike battery Sirius LED tea lights with a softly flickering flame. Batteries included (1 x CR2032 battery for each LED tea light). champagne glitter: when you want some more glitter, these champagne glitter tealights are ideal! Diameter: 3,5 cm, height: 2 cm (4,5 cm if you measure flame as well). 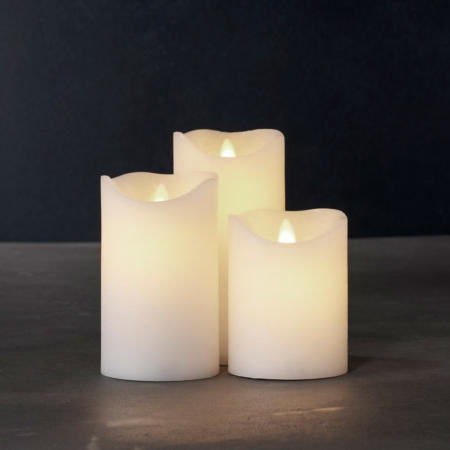 The flame does not move, but it has a similar flickering look as a real flame.